What Would Be the Reaction? The final communique of the Arab Summit, concluded Wednesday in Amman...read by Secretary-General of the Arab League Ahmed Aboul Gheit,...voiced rejection of all unilateral Israeli measures aimed at altering the legal and historical status of Muslim and Christian holy shrines in occupied Jerusalem. King Abdullah, whose dynasty has custodianship over Muslim holy sites in Jerusalem, said any unilateral Israeli move to change the status quo in the Dome of the Rock and al-Aqsa Mosque would have "catastrophic" consequences for the future of the region. Israel rejects all unilateral Arab actions and measures that were aimed at altering the legal and historical status of Jewish holy shrines in Jerusalem they occupied after invading and conquering the country in 638 CE? What do you think would be the reaction? Why not a "replacement" community? And it is within a bloc of communities: Shiloh, Achiyah, Esh Kodesh, Adei-Ad & Keida. 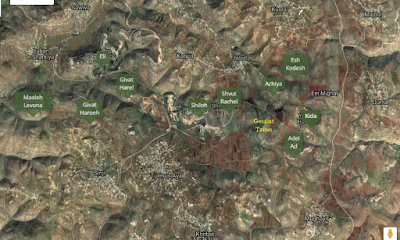 And the site, currently Geulat Tzion, has been inhabited for a while by a few families and all its land is state land, not private, officially declared so three decades ago. EP pointed out to me that almost all the headlines of the main media outlets are that Israel 'approves first new settlement in 20 years' (here: here; here; here; here; here; here;). But haven't we been informed for years that there were thousands of "new settlements" every week - via Peace Now, etc.? The settlement movement is not about to take over AIPAC or the U.S. pro-Israel community any time soon. But it did manage to seize control of a couple hours of Policy Conference, at least for some tiny but vocal minority of the confab’s participants. On Monday afternoon, the Yesha Council, the umbrella organization representing Jewish communities in the West Bank, held an event at a rented space on F Street, about a half-mile away from the convention center. It wasn’t really counter-programming—none of the half-dozen speakers that I stayed for criticized AIPAC in their talks. But it was at least concurrent programming. About half the attendees wore Policy Conference lanyards, with a few red Congress Club ribbons scattered among the crowd. Views of the lobby itself tended to be mixed. For some, AIPAC isn’t pro-settlement enough. Marc Provisor, a Policy Conference attendee and activist from the West Bank settlement of Shiloh, said he is “proud of AIPAC,” but still thinks it’s less accepting of the settlers’ perspectives than it should be. “AIPAC has to be open to all sides of Israel rather than being limited,” he said. What’s needed in discussions of Israel, he said, is “informed opinion, rather than manipulated opinion.” Others were less generous. “My sense is that AIPAC wants to do what’s good for the two-state solution…and the two-state solution is the property of people who say Israel is an occupier,” one attendee told me me. 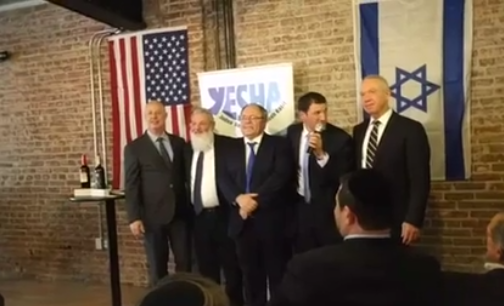 Although he didn’t mention AIPAC by name, Yishai Fleisher, a spokesperson for Hebron’s Jewish community, implied that the Yesha Council event was carrying out the kind of messaging work that other groups were either unwilling or unable to do. “You can’t answer ‘You stole someone’s land’ with ‘We invented a cell phone.’ The answer is, ‘It’s our ancestral homeland and we’re going to hold onto it’” he told me—a line he then repeated almost verbatim for a packed room a few moments later, while introducing the afternoon’s speakers. The event drew about 1oo people, meaning the vast majority of Policy Conference’s 18,000 participants were somewhere else at the time. But the speaking lineup included prominent Israeli political figures: Housing minister Yoav Gallant, New York consul general Dani Dayan, Deputy Foreign Minister Tzipi Hotovely, Deputy Defense Minister Eli Ben Dahan, and regional cooperation minister Tzachi Hanegbi all spoke, giving the gathering a higher-powered roster than all but a few of the actual AIPAC breakouts happening during the same time period. 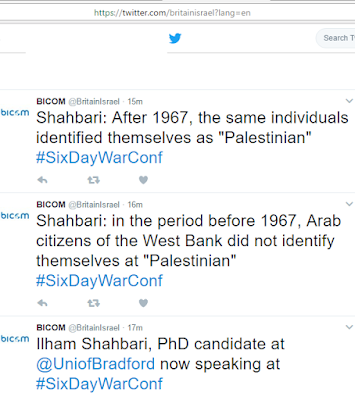 Policy conference largely deals within areas of broad agreement—at the plenary sessions, Israeli policy in the West Bank is usually discussed indirectly or in passing. At the Yesha event, with its promises of like-minded people and free kosher sushi, supporters of the settlement movement didn’t have to hide behind the requirements of maintaining shalom bayit within the broader pro-Israel movement. The Israeli speakers spoke a little more freely than they might have in front of a more diverse or more skeptical English-speaking audience: “We’re at half a million now. 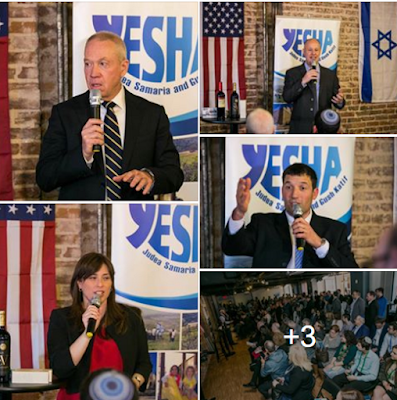 We need to get to one million settlers,” Hotovely said. Dayan boasted that the settler population increased by 40 percent during his six years as head of the Yesha Council. 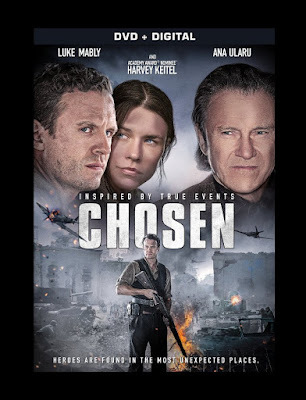 “If that’s not my entrance ticket to Gan Eden,” he quipped, “I don’t know what is.” Gallant, a retired IDF general, called his settlement advocacy “a correction” after a career partly dedicated to destroying things in battle. Missouri’s Fourth Congressional District Vicky Hartzler was attacked. "The writer, expert in biology, asks: why a Congress Representative would act "in support of the settlement enterprise". In 1922, Congress approved of the Mandate for Palestine to reconstitute the historic Jewish National Home which, at that time, included Judea, Samaria and even Gaza in its territory. In 1924, Congress authorized the Anglo-American Convention for Palestine which also included that territory, with special emphasis on American citizens' rights. There are at least 30,000 American citizens living in the Judea & Samaria communities, excluding Jerusalem (see below). Further, to "What U.S. or Missouri interests are served by this pro-settler activism? ", I could add that economic interests of local industries are a possible factor as well as extending American values to the area for Jews and Christians and Muslims just like other foreign aid programs. 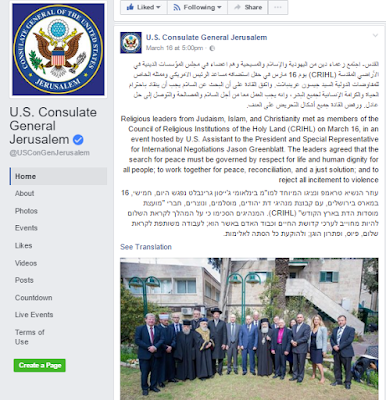 Check the FB page of the US Consulate in Jerusalem to see how much taxpayer dollars go for "Palestinian Arabs". Also, Israel's security is well served by a Jewish presence in the hills overlooking Israel. Remove that and regional stability collapses. And as for "Is she even serving the interests of American Jews, the majority of whom oppose the settlements while supporting Israel?" well, she is and I doubt the majority do oppose "the settlements" but simply want peace. Don't forget, "settlements" for Arabs and maybe Jews like the write also include 205,000 Jews who live in post-1967 Jerusalem neighborhoods. They are to be ethnically cleansed just like the Jews who lived in Judea, Samaria and Gaza were cleansed by Arabs during 1920-1948? The complete West Bank Jewish Population Stats report was released today with data updated to January 1, 2017. The report is available to the public in English via the mailing list at the West Bank Jewish Population Stats website. The West Bank Jewish Population Stats report is compiled each year by Former Member of Knesset Yaakov “Ketzaleh” Katz based on precise data from the population registry in Israel’s Ministry of the Interior. As of January 1, 2017, according to the report, 420,899 Jews live in West Bank towns, not including the some 300,000 Jewish residents of the eastern neighborhoods of Jerusalem, which are technically part of the West Bank as well. 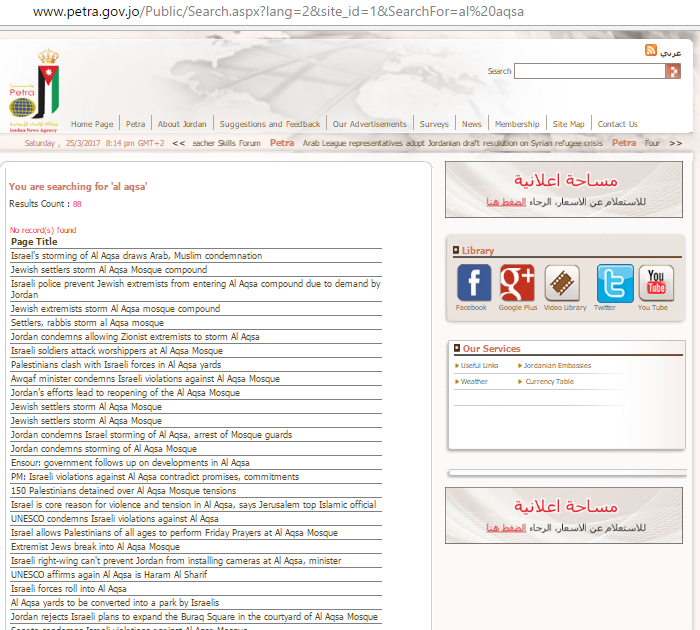 I rechecked sources for Jerusalem. I added up all the neighborhoods post-67 at the Jerusalem Yearbook for end of 2014. The sum of those figures equals 204,390 at the end of 2014. Missing may be Maaleh Hazeitim and Kidmat Tzion with Har Hazeitim. But that would be around 500 so let's round off at 205,000. The average yearly growth of the Jewish population, found here, seems for past 5 years to be 1.42. That would provide a total approximate figure of 208,000 Jews residing in the post-1967 Jerusalem neighborhoods which the Arabs and the UN declares territory slated for a future Arab state in the former area of the Palestine Mandate. promise to fight to the end and we will never surrender..."
If now [in the case of] the salamander, which is [only] an offspring of fire, he who anoints himself with its blood is not affected by fire, how much more so the Scholars, whose whole body is fire, for it is written [Jer. 23, 29]: "Is not My word like as fire? saith the Lord". Resh Lakish said. The fire of Gehinnom has no power over the transgressors of Israel. As is the custom, I wear a tallit katan, vernacularly know as "tzitzit", under my shirt. Today, something rather unique happened (although it may have happened to me previously some decades ago I think). I usually dress in our darkened bedroom (wake-up for me is 5:20 as shacharit is at 6) but go into another room to select a shirt. Which is what I did this morning. For those wondering what the "this" is: I seem to have slipped my belt through the part of the tzitzit that connects the fringes to the actual material that creates a four-cornered garment. It meant, however, that I had to reloop myself so as to put on my camera and cellphone. Is Jordan a Moderating Force? Jordan is not fulfilling its responsibilities. That language and terminology violates the treaty. Will Israel's government call in Jordan's Ambassador to convey a reprimand or a note of dissatisfaction? Gideon Levy has a pro-firebomber piece in Haaretz. It drips empathy for the terrorist. Okay, he doesn't suggest outright that Arabs throw fire-bombs at IDF soldiers of Israeli civilians but he does attack the army's attempts to protect themselves and Israel's civilians. He was obviously not endangering the soldiers as he fled. Obviously? Did they know he did not have a gun and maybe would have turned and fire at them? I won't attempt to argue whether at the time, early evening when the visibility is not perfect, Abu Razi perhaps had also been seen at an angle, turning to his left, rather than at a 90-degree angle, But I will say that the shot that killed him obviously save a Jewish life in the future. The dead youth was a terrorist. He refused at least two attempts to dissuade him from throwing the firebomb. 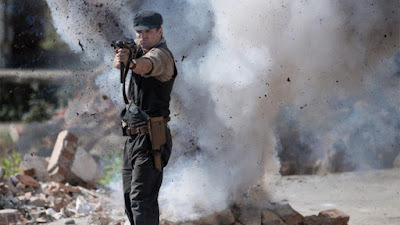 He was a ticking firebomber. There are no moral doubts. Would that his death convince other youths to leave the path of terror. Language is always an issue in social contact and discourse, especially in diplomacy. The two delegations also discussed Israeli settlement construction, following up on Prime Minister Netanyahu’s visit to Washington and Mr. Greenblatt’s recent visit to Israel. The United States delegation reiterated President Trump’s concerns regarding settlement activity in the context of moving towards a peace agreement. The Israeli delegation made clear that Israel’s intent going forward is to adopt a policy regarding settlement activity that takes those concerns into consideration. The talks were serious and constructive, and they are ongoing. ...the term "interests" or "attention" would have been employed. Was Khalid Masood Eliminated Elor Aazariah-style? An IDF soldier, Elor Azariah, shot dead a neutralized terrorist in Hebron last year. After stabbing a soldier, the terrorist was wounded, seriously, and then Azariah, claiming he felt threatened by perceived movement by the terrorist, shot him dead. It sent off a storm in Israel, politicians' declarations, and a trial. What happened in London on Wednesday? A terrorist rammed dozens of pedestrians, stabbed a policemen (who died), was shot and seriously wounded. But was he shot after wounded and on the ground? By two policemen? And yes, I am, aware that some 10 minutes passed between the downing of the Hebron terrorist and Azariah's shot, unlike the incident in London. But morally, it doesn't make a difference. 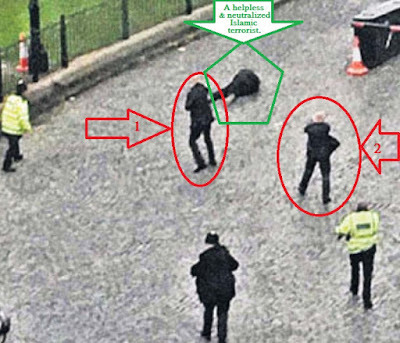 The terrorist was down and need not have been shot again, if that indeed was the case. Now, most Jews and many non-Jews know that the Purim story involves Jews defending themselves from a state-sponsored program of elimination, eradication and extirpation. It cannot be compared to supremacist radical Islamism killing non-Muslims in a terror campaign that has no rhyme nor reason. What Beinart does in that tweet is mask that a) the Pals. are the ones who have been avoiding closing a deal, since 1993's Oslo Accords including Clinton Parameters, Netanyahu's construction moratorium, Olmerts's and Livni's swaps, etc. ; b) ignoring that there is a security aspect in Israel's administration; c) that so-called "occupation" is legal in that it responded to a war of aggression in a defensive fashion. Beinart, besides exploiting anti-Semitic tropes against his ideological foes and misrepresenting Zionism in his poorly researched book, see here and here, is now turning Judaism upside-down. For that, he truly deserves the Dumb Jew Award. An unexpected discovery was made a few weeks ago in an archaeological excavation of the Israel Antiquities Authority conducted in the vicinity of Ramla. 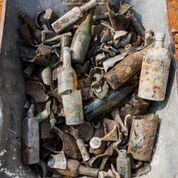 Together with flint tools that are 250,000 years old from the Middle Palaeolithic period, archaeologists were astounded to find a fascinating reminder from the First World War that included, among other things, hundreds of liquor bottles that are 100 years old. These were found near a building where British soldiers were garrisoned during the war. According to Ron Toueg, excavation director on behalf of the Israel Antiquities Authority, "...We exposed a building whose upper part was not preserved, which was apparently the foundations of a barracks...Inside the building we discovered dozens of uniform buttons, belt buckles, parts of riding equipment, and other artifacts that were the property of the British soldiers. The building caught fire and collapsed for a reason which at this point is unclear. The place where the soldiers discarded debris was revealed just a few meters from the building. 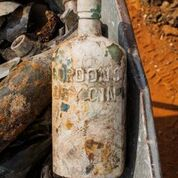 We were surprised to discover that along with broken crockery and cutlery there was an enormous number of soft drink and liquor bottles. In fact, about 70% of the waste that was discarded in the refuse pit were liquor bottles. It seems that the soldiers took advantage of the respite given them to release the tension by frequently drinking alcohol”. ...According to Sary Mark, an architect, conservator and an authority on the British army’s occupation of the area, “On November 15, 1917 the Egyptian Expeditionary Force under the command of General Allenby conquered the area around the towns of Lod and Ramla. Before occupying Jerusalem the army encamped in the area where the archaeological excavation took place: the headquarters at Bir Salam – Ramla Camp and Sarafand Camp. The army was based there for about nine months until a decision was made to continue the conquest of the country further north. The building that was discovered in the excavation was used by the British soldiers, and it is rare authentic evidence and the first of its kind of the day-to-day life of the expeditionary forces for a very brief period during the First World War”. Thanks to Eriola Jakoel, media coordinator of the Central Region, Israel Antiquities Authority. 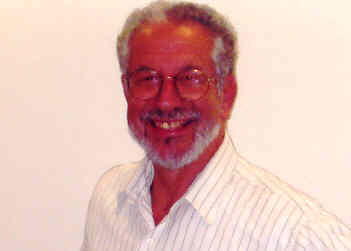 Kevin Jon Heller blogs at Opinio Juris. ...Your response to Yisreal is weird. Drawing a line from “expressing less than favorable views” to ” referring to their children as “little snakes” is bizarre. You are also being quite dishonest when you say you quoted Shaked in her “own words”. Those were not her “own words” and you ignore the context. It is also irrelevant to the discussion here, but I can see why you want to change the subject. I get it. It’s tired and pathetic, but I get it — everyone who criticises Israel is, by dint of their criticism, biased. Only those who defend Israel are objective. The myopia is staggering, but it’s entirely predictable. The really weird matter is that in writing “Yes, nothing demonstrates prejudice quite like quoting high-ranking Israel officials’ own words…”, KJH was either misconstruing what I had referred to or didn’t quite grasp it. 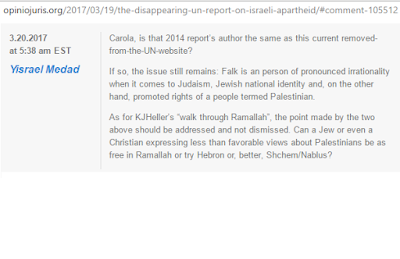 I had written “Can a Jew or even a Christian expressing less than favorable views about Palestinians be as free in Ramallah or try Hebron or, better, Shchem/Nablus?” and he refers to the most extremist instance of Ayelet Shaked’s remarks (and I won’t get into whether they were her words, quoted or whether she apologized or not for that is not the point). From my “less than favorable” to her “snakes” is a trick that a law professor should not be engaged in. Unlike Kumar, I do think he has control of brain and limbs. Or, to be a university professor, he should. His frothing and ranting on political and ideological issues are unseemly. After years of following the Facebook page of the United States Consulate Facebook page and noting that despite perhaps 1,000,000 Hebrew readers in the area over which it supervises it does not appear in Hebrew, only English and Arabic. Maybe Jason Greenblatt's presence was a help? The next days' posts reverted to the Hebrew-exclusion policy. an introductory course on the TOEFL test at America House Ramallah. This will be a 5 - week class and will prepare you for ALL four areas of the TOEFL testing reading, writing, listening and speaking! The deadline for application is Sunday 19th. Calling all 14-16 year olds! Are you interested to learning about robotics and new technology? If so, join our Tech Club! I checked. While "Hebrew" is mentioned, "Jews" or "Jewish" are not. Do You Read the Quran? And fight against the disbelievers collectively as they fight against you collectively. And know that Allah is with the righteous [who fear Him]. 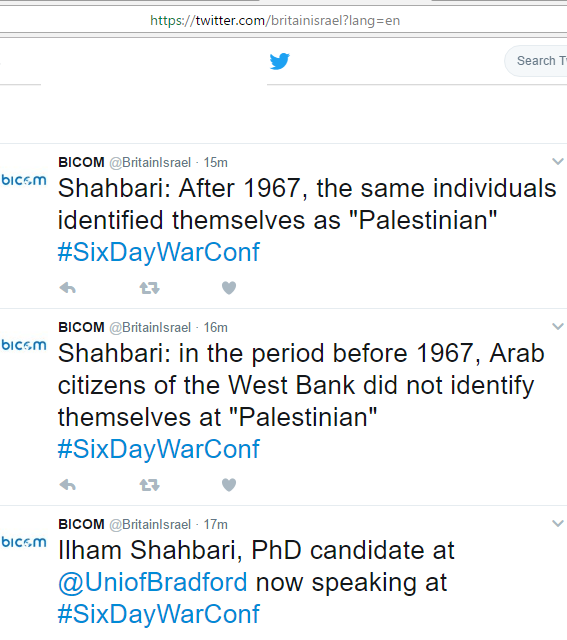 I use Palestinianism to describe a phenomenon of an Arab people who never in history shared any specific national identity characteristics that would set them off and make them a special case as a "people". See here, and also here, for example, and also here for Bat-Yeor. self-mythologising [as in the case of] Palestinianism...the ideology which suggest there is a nationalism for a group of Arabs-who-refer-to-themselves-as-'Palestinians' and which, at its essence, denies the existence of a Jewish People, with its history, religion, culture and history who possess an historic homeland. So-called national homeland never existed as a political or even an administrative entity. The name "Palestine" came from the Roman rule over the Land of Israel after 135 CE, although previously a region by that name did exist but was not applied to what is know as Palestine today, whereas Judea was. Arabs have a non-Arabic name for their national homeland. Really? "the Palestinisation issue started after the Green Line was erased"
High Court justices have ordered the Interior Ministry to restore the residency rights of a Palestinian man born in East Jerusalem who was denied permission to live in the city after being away for many years... justices Uzi Fogelmen, Meni Mazuz and the court president, Miriam Naor, found in his favor and instructed the ministry to restore his status. The ruling's significance is in the fact that the justices accepted the principle argued by Abdulhak's attorneys that East Jerusalem residents are not immigrants but have rights due to the fact they were born in the city. Fogelman wrote that "the interior minister must...consider the special circumstances of these residents – that as opposed to immigrants seeking status – they have a strong affinity to the place where they live, as people born in this area..."
a) does Mr. Abdulhak accept Israeli sovereignty over Jerusalem? b) is that what "affinity" means? or is his "affinity" strictly non-Israeli? and if so, what are the justices doing? 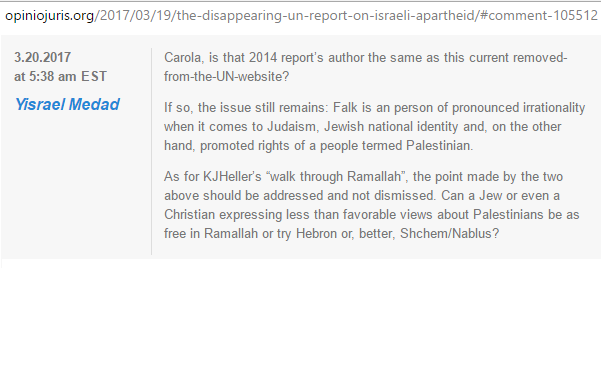 c) and if indeed Abdulhak's argument is what he truly believes, well, then, the Jewish right of return should gain his support as there's no greater affinity to Jerusalem and the Land of Israel as that of the Jews, even if we were not born here. Did He Flee or Remove Himself? Will You Visit Us at Shiloh?